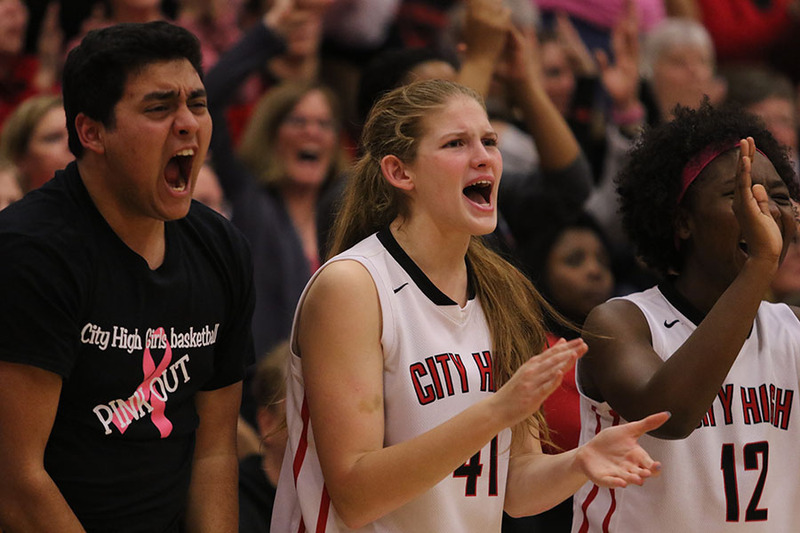 Manager Sameer Ali '17 and teammate Skye Spencer '18 react after a City High basket. 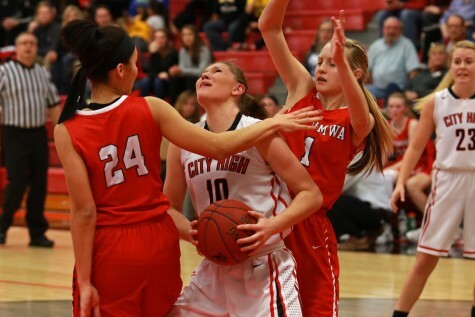 With the sub-state tournament bracket coming out, the City High girls basketball team has earned a first round bye following a 14-0 start to the season and will return to state for the first time since 2014. 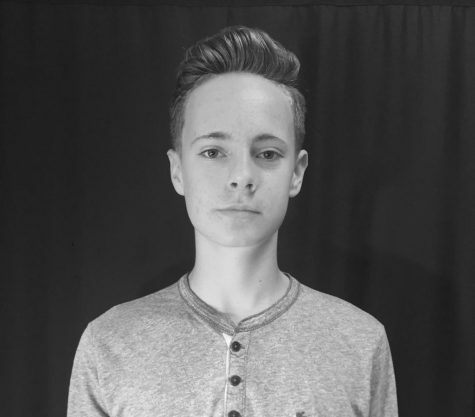 “Everyone has been doing their part, and all of us have learned our roles on the team. I think that is what has made us successful this season,” City High head coach Bill McTaggart said. 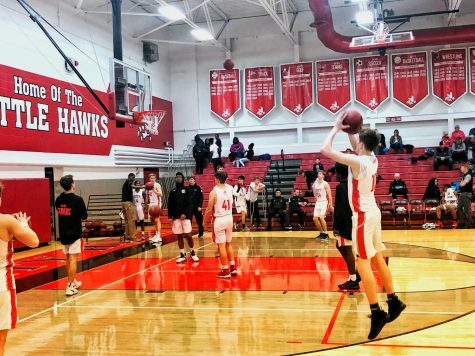 The Little Hawks have a record of 19-1 with their only loss to West High, but the team has been playing more relaxedly following that game, according to McTaggart. The Little Hawks have picked up many significant wins, and at the end of the season the stats are reminiscent of the 2007-2008 season, when the Little Hawks won state. Back then, the Little Hawks had the future winner of that year’s Gatorade Girls Player of the Year award for Iowa, Kelly Krei, who averaged 19 points and eight rebounds per game. 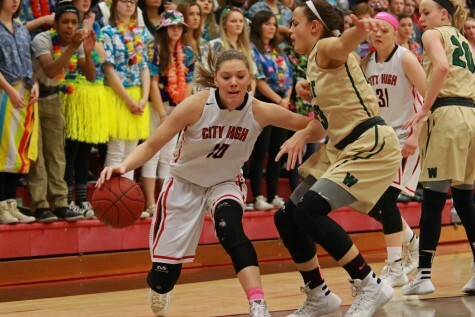 This year, City has star junior Ashley Joens, who is averaging 21.6 and 10.1 rebounds per game. Both teams had freshmen providing a spark for the team. The ‘07 team went through the regular season with an 18-3 record. The ‘07-’08 championship team also faced some hardships in the regular season which it came back to avenge. 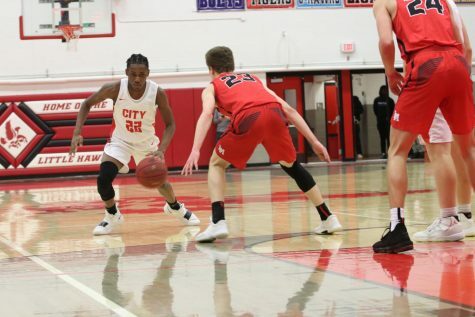 A tough loss against West High for City’s current team resemble defeats to Linn-Mar and Cedar Rapids Jefferson in ‘07-’08, which the Little Hawks could look to avenge in potential state tournament rematches. Coach Bill McTaggart thought this year’s team was similar to the state championship team he coached back then as well. “Both teams had absolutely no trouble putting points on the board. 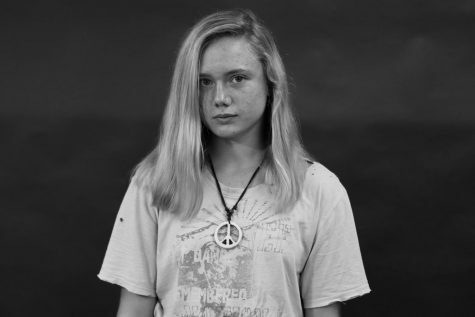 They definitely have a lot of similarities.” McTaggart said. 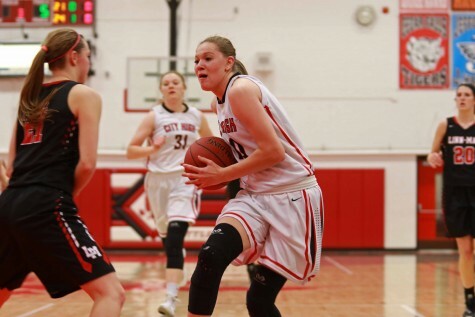 The team has continued to be led by the duo of Ashley Joens ‘18, as well as Aubrey Joens ‘20. 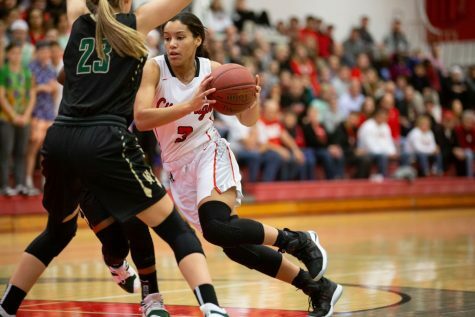 Ashley leads the Little Hawks in scoring with an average of 21.6 points per game. She also leads the team in rebounding. Aubrey is second on the team with 11.8 points per game and is second in steals, only behind fellow freshman, Rose Nkumu. “It feels kinda the same as playing with Courtney [Joens ‘16 last year], she’s kinda like the same player. 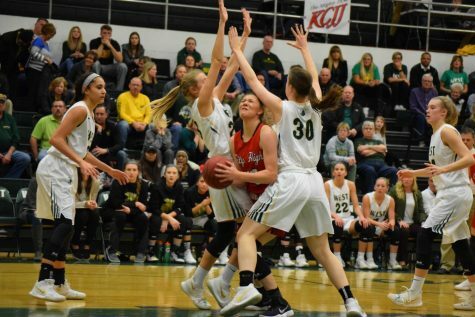 We just kinda know where we’re at on the floor so we can always get each other the ball,” Ashley Joens said of playing with her sister this season. This year’s team features four freshman, two starting, and two coming off the bench. Aubrey Joens and Rose Nkumu have earned spots in the starting lineup and Paige Rocca as well as Samantha Greving have seen their minutes increase as the season has progressed. They are second and third on the team respectively in bench points behind only guard Christina Hora ‘18. Joens is second on the team in scoring, and Nkumu is fourth in scoring. The team also has had plenty of senior leadership this season, led by seniors Sydney Schroder and Kenya Earl. 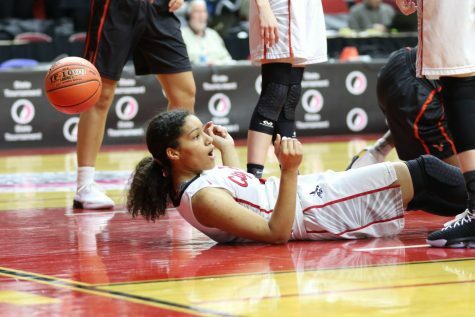 Kenya Earl ‘17 also has provided the team with leadership in practice by helping younger players learn the plays. “Helping them focus more in practice, getting the plays right, like if they have questions, I can help them with that,” Earl said of her role as a leader. The Little Hawks head into the second round of sub-state facing the winner of the Burlington (6-19) and Davenport West (1-15) game. 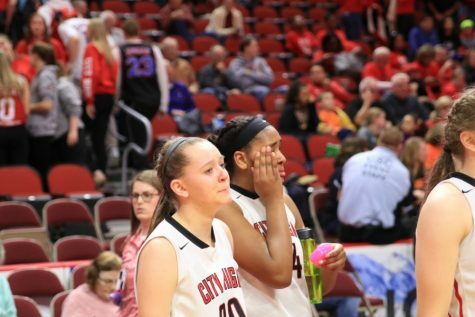 If they win that, then they will face the winner of Ankeny Centennial (10-5, #11 in state) vs. Waterloo West (10-6). “If we win our first game, we [potentially] could have a matchup with Ankeny Centennial, and they’re a challenging team,” Sydney Schroder said. Kenya Earl is looking forward to that potential semifinal matchup as well. 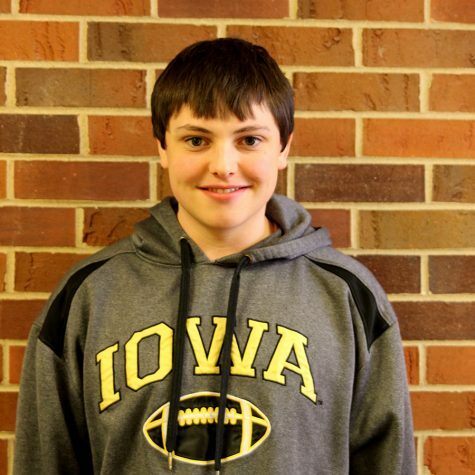 “[I’m most excited for] probably the semi-final game because that’s the game that if you win, you go to state,” Earl said. The Little Hawks begin their playoff run when they play the winner of the Burlington vs. Davenport West game on February 18th at 7:00 p.m.. Students will not be able to use athletic passes for the sub-state game. 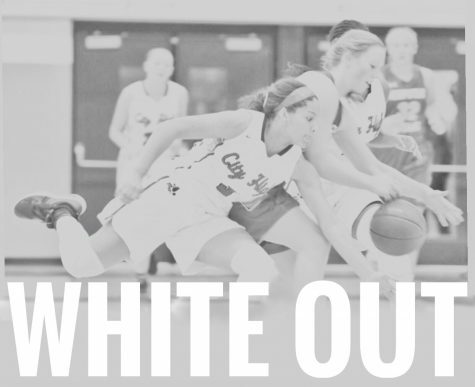 The game will be at City High, and tickets are $6.